The merger of University of Arizona Health Network and Banner Health Friday highlights the stark challenges that academic medical centers face in the new economics of healthcare. Academic centers, with their research and education missions, long have been high-cost institutions, but have been able to cover their added operating expenses through higher payment rates. Under public and private reform initiatives, where the goal is to reduce costs, these sprawling downtown hospitals are fast becoming bloated relics of another era. The deal sparked speculation that other midsize academic medical centers could follow in UAHN's footsteps. Indeed, earlier this month, Emory University disclosed that it had entered discussions with WellStar Health System to combine their hospitals under a single umbrella in the Atlanta area. 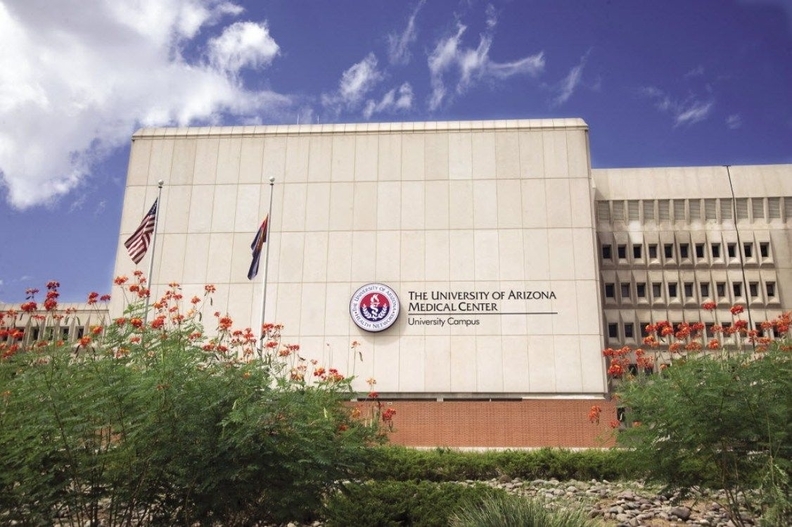 The UAHN takeover grew out of discussions not-for-profit Banner had in late 2013 with the University of Arizona for Banner to become the primary teaching affiliate for the university's Tucson-based medical schools. But the discussions ended with the university asking Banner if it would consider a broader transaction. “It's not unusual for academic medical centers to face stresses,” said Ann Hart, president of the University of Arizona. UAHN, which was built in the 1970s, has “completely out-of-date inpatient and ambulatory facilities,” she said. And it lacks access to capital for upgrades. UAHN previously operated in the black. But over the past year, expenses in both its acute-care and health insurance businesses outpaced the gains it saw in revenue. It reported an operating loss of $66 million on revenue of $1.3 billion, or a negative operating margin of 5.1%, compared with the prior year's surplus of $18.6 million on $1.2 billion in revenue. Under the Banner deal, it will receive a $500 million capital injection for projects over the next five years. Banner also pledged to create a $300 million endowment for clinical research and pay off $146 million in UAHN debt. Overall, academic medical centers have enjoyed higher operating margins than not-for-profit hospitals in a fee-for-service environment. The nearly three dozen academic medical centers in the Modern Healthcare Hospital System Financial database had an average operating margin in 2013 of 5.2%, above the group average of 2.8%. In the past, academic medical centers have been able to command higher payment rates both because of their market clout, based on prestige and consumer appeal, and because insurers were more willing to pay a premium to support their missions, Tabler said. But that extra revenue is at risk as patients and insurers become more price-sensitive and less willing to pick up the tab for research and education. “That puts academic medical centers at a tremendous disadvantage,” he said. Under the growing model of managing the health of enrolled populations, academic medical centers would be reserved for the highest-acuity patients. But 70% of inpatient care at an academic medical center could be delivered in a lower-cost setting, said Steve Levin, director at the Chartis Group, a management consulting firm. Still, academic medical centers often hold troves of clinical data and have served as de facto population health centers in their communities. Their reputations for quality also have provided currency for a few enterprising systems such as the Cleveland Clinic and Duke University Health System in Durham, N.C. The Cleveland Clinic has entered into bundled-payment contracts with a number of large national employers, making it the preferred provider for services such as orthopedic surgery. Duke has partnered with publicly traded LifePoint Hospitals on a national acquisition strategy. But those strategies are unique, and not always successful. The Cleveland Clinic initially tried to copy the Duke model by partnering with for-profit Community Health Systems, but the scope of their deal has fizzled. Banner CEO Peter Fine said his system has become efficient at spreading costs over a larger base. “We see with the University of Arizona a fair amount of expense that has to exist in a stand-alone organization, but that we can absorb, therefore bringing down the cost per unit of service,” he said. Banner is one of the largest health systems in the country by revenue, with 25 hospitals in seven states as well as Banner Medical Group. It's a major player in Arizona, where it has 43.5% of the Phoenix market, according to an investor presentation. Dignity Health is a distant second, with 13.9% of the Phoenix market. The Tucson market is more evenly split among four players, with UAHN holding 27.2% of the market. After the merger, Banner estimates that 82% of the Arizona population will have access to a Banner facility. Although there hasn't been much overlap between Tucson and Phoenix in the past, Phoenix-based providers have started to look more closely at their smaller neighboring city just two hours south. A month after Banner announced its deal with UAHN, Ascension Health said it planned to sell a stake in the Tucson-based Carondelet Health Network to Tenet Healthcare Corp. and Dignity Health, both of which have hospitals in Phoenix. Beyond gaining access to Tucson, Fine said Banner saw the UAHN deal as a way to form a direct relationship with the institutions training the system's future workforce. In addition, he said, there were community benefit reasons for doing so. “Banner, as large as it is in the Arizona market, really has to look at itself as part of the fabric of the community,” he said.